He was killed in action on 1 July 1917. He was 21. He died of his wounds on 15 January 1915. He was 23. 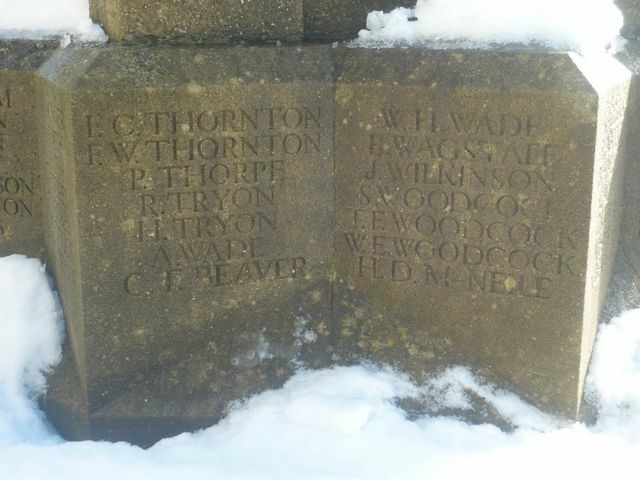 He was killed in action at Beeengise on 29 September 1918. He was 26. He was killed in action on 25 September 1916 at the Battle of Morval. He was 26. Sapper, 66th Field Company, Royal Engineers. Army no. He died on active service on 26 December 1916. He was 32. 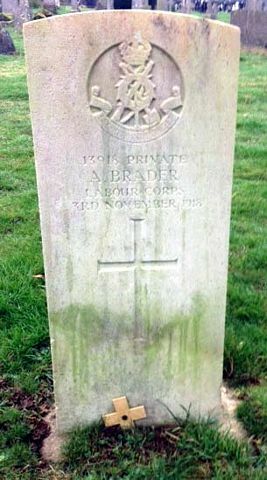 Private, 4th Battalion, Alexandra, Princess of Wales’s Own, (Yorkshire Regiment), 116 Brigade, 39th Division. Army no. 43730. He died of his wounds on 1 October 1916. He was 27. 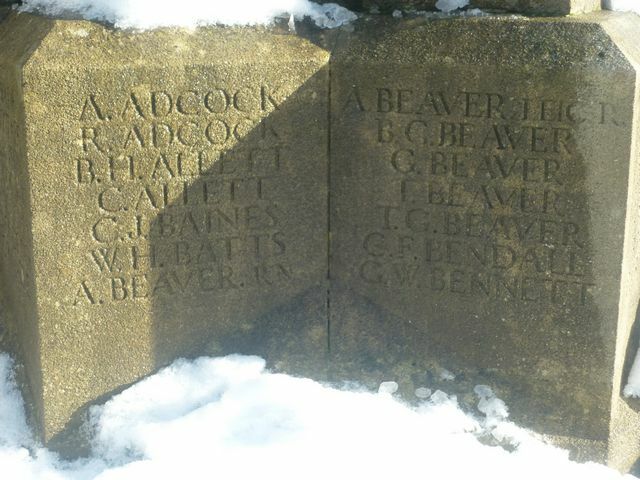 He was the son of William and Jane Beaver, 20 Dean's Street, Oakham. Sapper, 130th Field Company, Royal Engineers. Army no. He died of his wounds on 29 October 1916. He was 28. Private, 5th Battalion, The Leicestershire Regiment, 138 Brigade, 46th Division. Army no 1967. He was killed in action on 13 October 1915 at Hohenzollern Redout. He was 22. He died of his wounds on 30 April 1917. He was 25. He died of his wounds on 16 December 1916. He was 25. He was killed in action on 17 September 1916 in the fighting at Flers Courcellette. He was 21. He died whilst on active service on 28 December 1918. He was 22. Second Lieutenant, 2nd Battalion, The Leicestershire Regiment. He was killed in action on 6 April 1916. He was 29. 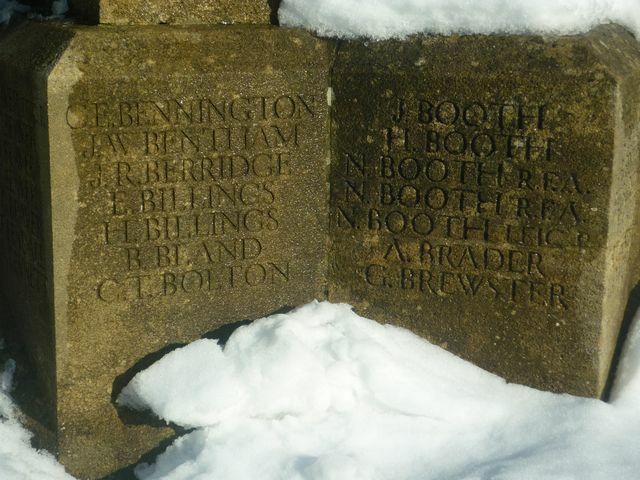 The CWGC states that he was 9th Battalion attached to 6th Battalion but neither were in this theatre. After consultation with the regimental archivist, it is clear that he was with 2nd Battalion. - Probably he was posted to 2nd Battalion and the paperwork did not catch up. Private 25th Battalion, Machine Gun Corps (Infantry) Army no. He died of his wounds on 28 April 1918. He was 21. 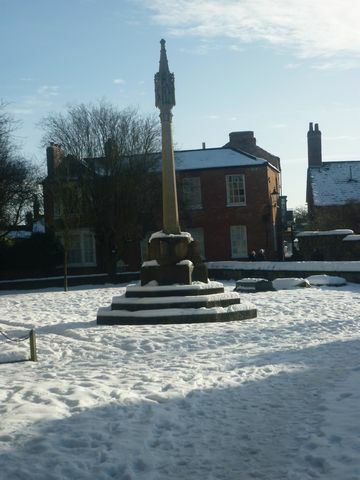 He was the son of Tom William and Eliza Bland, 17 Deans Street, Oakham. (Nottinghamshire and Derbyshire Regiment), 178 Brigade, 59th Division. Army no. 42543. He was killed in action on 21 March 1918 at St Quentin. He was 35. 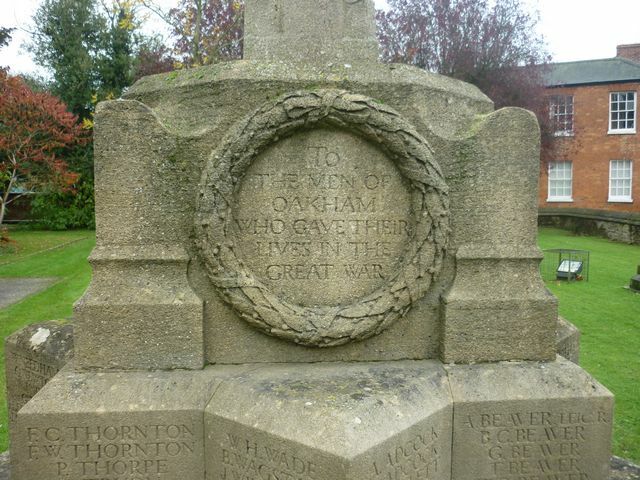 He was born in and enlisted in Oakham. 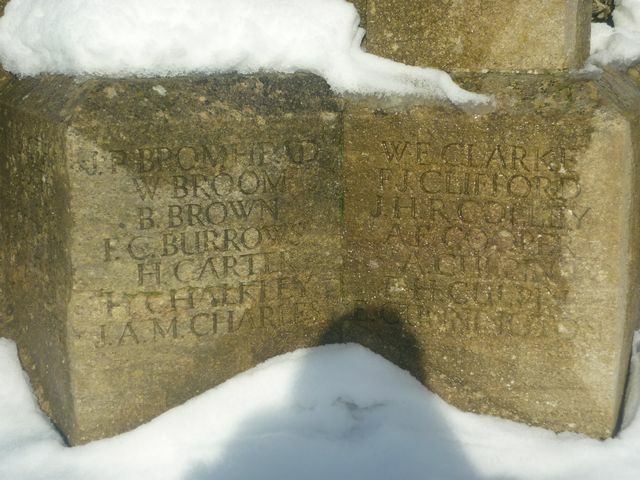 He died of his wounds on 20 December 1915. He was 23. He was killed in action near Arras on 20 April 1917. He was 20. He was wounded & Missing, assumed dead on 26 October 1917 in the fighting on the Hindenburg Line. He was 24. His Birth Certificate reads: born 5/12/1893 at Beech House, Christchurch, Eltham Bryan Brown, father, Frederick John Brown, a Gardener, mother, Florence Martha Brown (formerly Elsworth), Beech House, Christchurch." Overton, Leicester, records Fred Brown his wife Florence Brown Hedley Brown, Brian Brown age 7, Bertie Brown, and Alan Brown age 2. All are listed as born Christchurch. I have not established where he is buried. 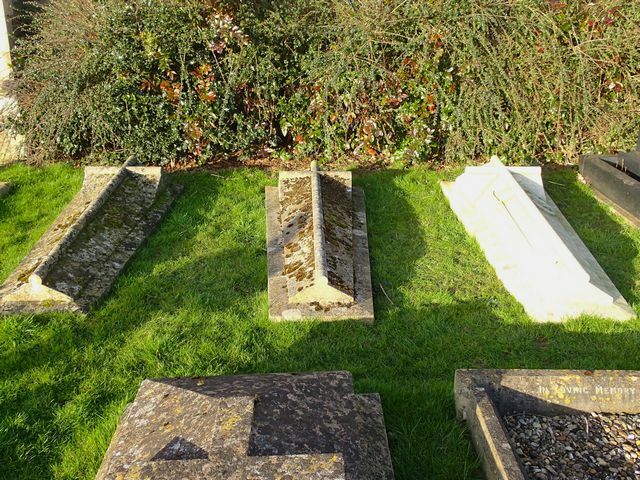 He was born in Battersea in the June quarter 1896 and in 1911, he was living in Rutland with his Grandparents. He was the son of the Rev. Canon James Hamilton Charles, MA, and Elizabeth Charles, The Vicarage, Oakham. He was the son of Edward and Sarah Clarke, 57 Northgate Street, Oakham. He was born in Oakham. He died on active service on 23 October 1918. He was 33. Private, 48th Field Ambulance, Royal Army Medical Corps. Army no 50947. He died of his wounds on 28 April 1917. He was 20. 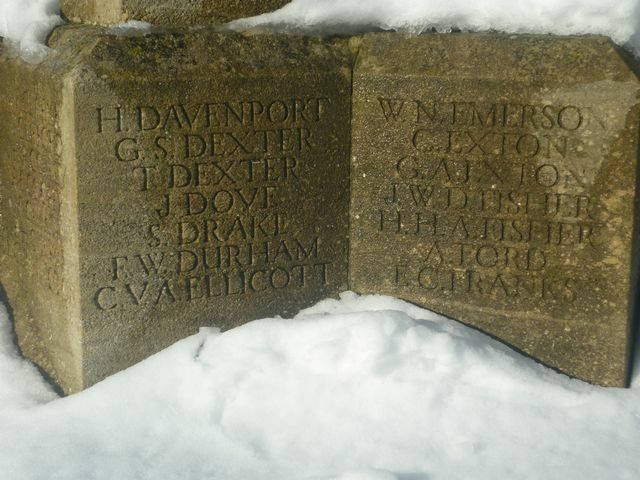 He was a civilian when he died from pneumonia in 1918 and his death is recorded in the Civil Registrations (Deaths Dec quarter 1918 Davenport Henry age 42 Oakham 7a 775). 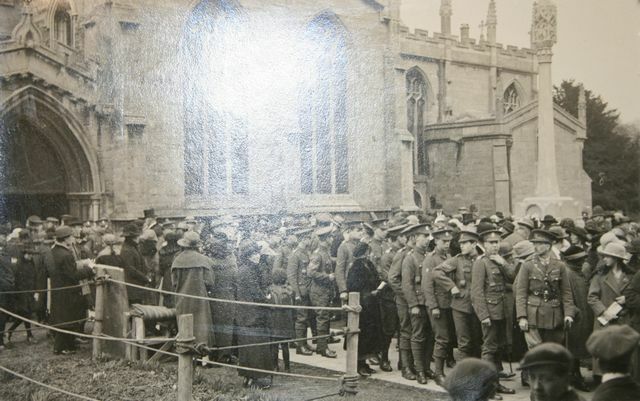 and had trained many people in Oakham but as yet I do not know his military unit. As he was in his late 30s when war was declared I supect that he had been injured out of the Army. He was killed in action in the fighting on the Somme on 21 March 1918. He was 32. Driver, 491 Field Company, Royal Engineers. Army no. Private, 21st Battalion, Machine Gun Corps (Infantry). Army no. 140908. He was formerly with The Leicestershire Regiment, Army no 24955. He died of his wounds on 30 October 1916. He was probably wounded on the Somme. He was 19. He was killed in action on 14 July 1916 at the Battle of Bazentin Ridge. He was 25. 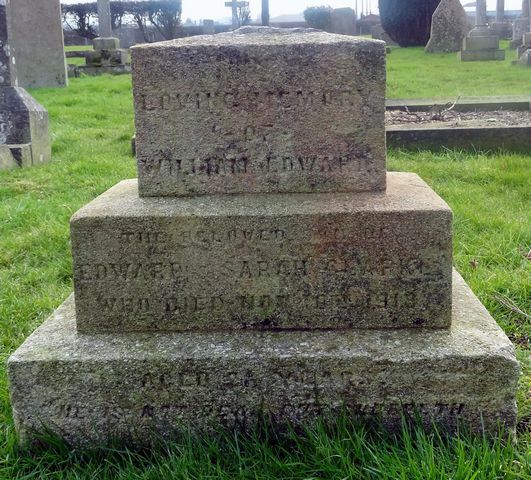 He died of his wounds received at Hohenzollern Redoubt on 13 October 1915. He was 22. He was killed in action on 4 September 1918. He was 40. He was killed in action on 6 February 1916. He was 20. Battle of the Lys. He was 38. 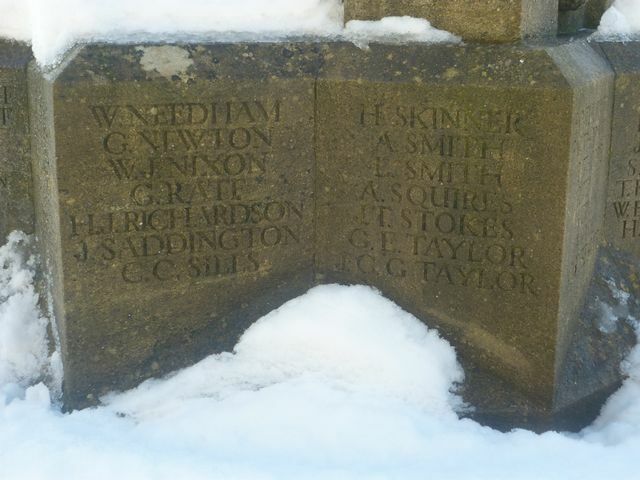 He was a member of Staff, Science Master 1911-1915 at Oakham School. He was awarded the Military Cross in August 1917 and then the Bar to Military Cross in November 1917. He died on active service on 19 October 1918. He was 19. 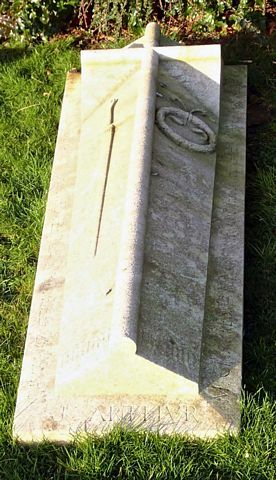 She died on 30 May 1917. She was 26. 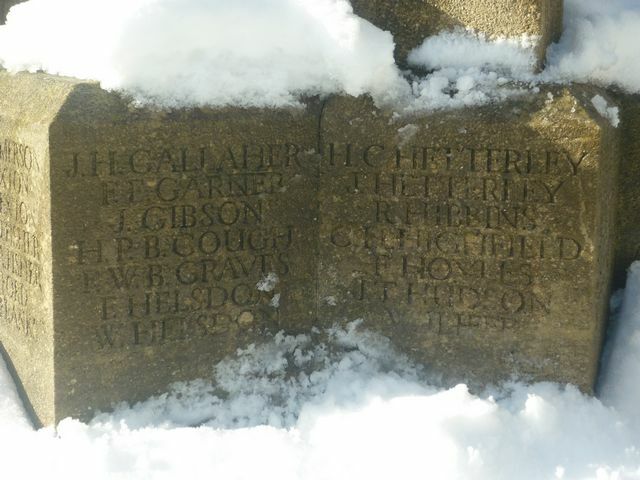 "HETTERLEY, Sister Helen, daughter of Mr & Mrs George Hetterley of 31 Penn Street, Oakham was born May 4th 1891. Two years before the war she became hospital nurse, and when the war began was stationed at the Military Hospital, Canterbury. In the execution of her duties she contracted tuberculosis and was sent by the Rutland County Council to the Devon & Didsworthy Sanatorium. Unfortunately the disease had obtained too great hold, and after three months, it was clear that nothing could save her. 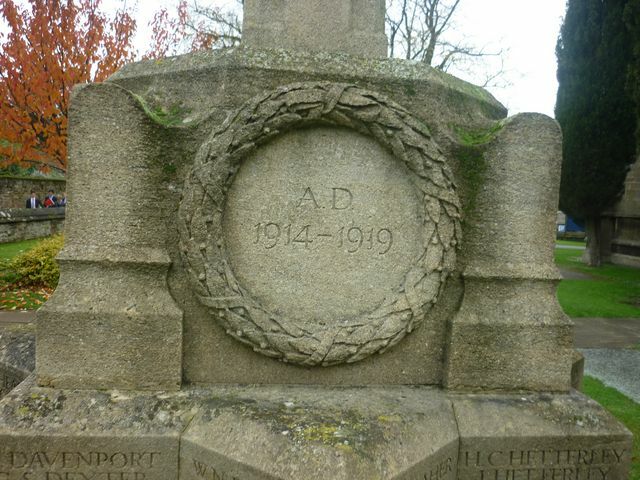 She, therefore returned home, where she died May 30th 1917 and was buried in Oakham Cemetery. Age 30." He was killed in action on 19 July 1915. He was 27. He was killed in action on the Somme on 21 March 1918. He was 23. Second Lieutenant, 3rd Battalion attached to 1st Battalion, The York and Lancaster Regiment, 24 Brigade, 8th Division. He died from his wounds on 4 July 1915. He was 24. The records of the CWGC and the UKSWD database both state that he was with 3rd Battalion. This Battalion was stationed in Sunderland and not in Belgium. The Regimental Museum has reported that in fact he had been posted to 1st Battalion which establishes why he is buried in Belgium. Private, 6th Battalion, Northamptonshire Regiment, 54 Brigade, 18th Division. Army no 40455. He was formerly with The Leicestershire Regiment, Army no. 30319. He died on active service on 1 December 1918. He was 31. He died on active service on 8 June 1919. He was 38. Captain, 5th Battalion, The Leicestershire Regiment, 138 Brigade, 46th Division. He was killed in action at the Hohenzollern Redoubt on 13 October 1915. He was 32. He died from his wounds on 29 October 1915 in the 2nd General Hospital, Boulogne. He was 35. He was killed in action in the advance to the Hindenburg Line on 21 April 1917. He was 20. He died on 23 July 1918. He was 35. His death is in the civilian registrations (Birmingham 6d 205) so he had probably been discharged from the Army as being unfit for military service. He died on active service on 2 March 1915. He was 29. He was killed in action on 17 September 1914 in the Battle of the Aisne. He was 28. He died from his wounds on 3 June 1917. He was 24. 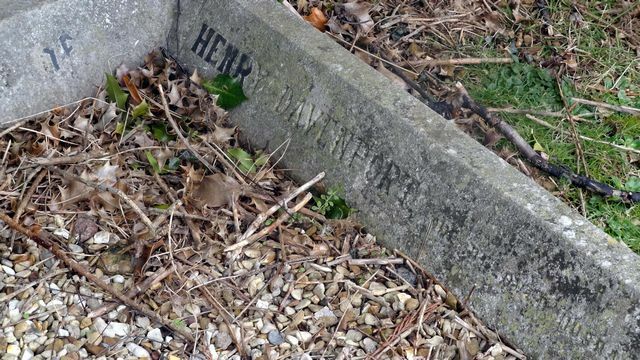 He was the son of A Thomas and Emma Meadwell of Elton and the husband of Charlotte Meadwell of Elton, Peterborough. no. 146135. He was formerly with The Leicestershire Regiment. He was killed in action during the Battle of Messines on 7 June 1917. He was 24. He was the son of George and Mary Neal. He was killed in action on 17 October 1917 He was 24. He was the son of Mary Needham. He is remembered on bay 6 of the Arras Memorial. Canadian Division. Army no 460586. He died on active service on 16 August 1917. He was 32. His history does present a few challenges. All Canadian records give his first name as Horace. This includes his Attestation which is handwritten and signed by him. This states - Horace Needham, born Oakham 15 May 1886 and the husband of Helen of Wpg, (presumably Winnipeg) Manitoba. He was killed in action near Holnon on 25 September 1918. He was 34. He was killed in action on 4 October 1917 during the Battle of Broodseinde, Ypres. He died whilst on active service on 8 January 1916. He was 19.
been struck on the jaw and his skull was fractured. Private, 5th Battalion, The Leicestershire Regiment, 138 Brigade, 46th Division. Army no 1319. He was killed in action at the Canal du Nord on 27 September 1918. He was 27. Private, 9th Battalion, The Leicestershire Regiment, 110 Brigade, 21st Division. Army no. 14867. He was killed in action in the fighting at Bazentin Ridge, Somme on 14 July 1916. He was 24. 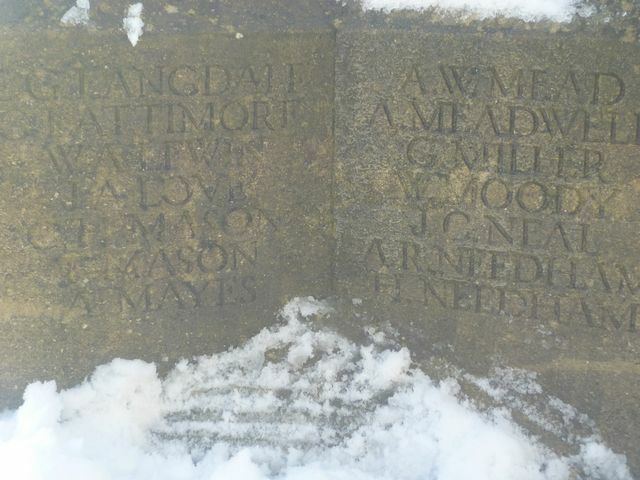 He was probably the son of John and Annie (previously Taylor) Rawlings, Simper Street, Oakham. Second Lieutenant, 11th Battalion, The Leicestershire Regiment, Pioneer Battalion, 6th Division. He died whilst on active service on 2 October 1918. He was 21. He died whist on active service on 13 August 1916. He was 35. Captain, 15th Battalion attached to 8th Battalion, Rifle Brigade (The Prince Consort’s Own), 41 Brigade, 14th Division. He was killed in action in the Battle of Flers Courcelette on 15 September 1916. Own) attached to 2nd Battalion, King’s Royal Rifle Corps, 2 Brigade, 1st Division. He was killed in action at Cuinchy on 10 January 1915. He was killed in action on 24 May 1917. He was 20. He was killed in action in the third Battle of the Scarpe on 3 May 1917. He was 21. He died on active service on 3 November 1918. He was 27. He was killed in action at the Battle of Aubers Ridge on 9 May 1915. He was 27. He was killed in action at the Battle of Morval on 25 September 1916.